In a sign that the entire foreclosure process is coming under pressure, a second major mortgage lender said that it was suspending court cases against defaulting homeowners so it could review its legal procedures. The lender, JPMorgan Chase, said on Wednesday that it was halting 56,000 foreclosures because some of its employees might have improperly prepared the necessary documents. All of the suspensions are in the 23 states where foreclosures must be approved by a court, including New York, New Jersey, Connecticut, Florida and Illinois. The bank, which lends through its Chase Mortgage unit, has begun to “systematically re-examine” its filings to verify that they meet legal standards, a spokesman, Tom Kelly, said. Last week, GMAC Mortgage said it was suspending an undisclosed number of foreclosures to give it time to take a closer look at its own procedures. GMAC simultaneously began withdrawing affidavits in pending court cases, throwing their future into doubt. In depositions taken by lawyers for embattled homeowners, the robo-signers said they or their team had signed 10,000 or more foreclosure affidavits a month. Now that haste has come back to haunt them. The affidavits in foreclosures attest that the preparer personally reviewed the files, which those workers acknowledge they had no time to do. GMAC and Chase say that their lapses were technical and will soon be remedied with new filings. But defense lawyers are seizing on these revelations and say they will now work to have their cases thrown out. Beyond the relative handful of foreclosure cases being contested are many more in which the homeowner did not have legal counsel. Potentially, hundreds of thousands of cases could be in doubt. GMAC’s initial disclosures prompted challenges or investigations from attorneys general in Iowa, Illinois, Colorado, California and North Carolina. The Treasury Department, which became the majority owner of GMAC after providing $17 billion in bailout money, has directed the lender to correct its procedures. Defense lawyers have consistently complained that the lenders’ law firms were sending through cases that were at best sloppy. The Florida attorney general’s office says it is investigating four so-called foreclosure mills. 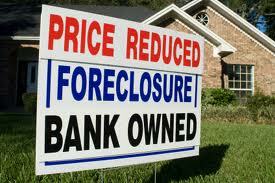 Judges who oversee a lot of foreclosure cases increasingly agree that there is a serious problem. “I don’t want to say that every one of these cases is wrong and a fraud on the court, but it is a big concern for us,” J. Thomas McGrady, chief judge of the Sixth Judicial Circuit in Florida, said in an interview last week after GMAC’s announcement. Judge McGrady predicted that the foreclosure process in Florida, which the Legislature has been trying to speed up, would have to slow down. “Everyone is going to have to look at these cases more closely,” said Judge McGrady, whose circuit includes St. Petersburg. The foreclosure process in many states is already torpid. This benefits delinquent homeowners, who can live in their properties free for years, as well as lenders who do not have to write down the value of the original loan. But it also threatens to prolong the housing crisis for many years. Chase said that unlike GMAC, it had not withdrawn any affidavits in pending cases. It also said that if foreclosures were completed, it was allowing its agents to proceed with the sale of the properties. GMAC has stopped its sales. Chase followed the lead of GMAC in playing down the impact of the situation. “Affidavits were prepared by appropriate personnel with knowledge of the relevant facts based on their review of the company’s books and records,” the spokesman, Mr. Kelly, said. But many questions are unresolved. One is whether completed foreclosures will be vulnerable to what GMAC is calling “corrective action.” If those former homeowners press their claims, they could conceivably dislodge the new buyers. Such cases are probably not imminent. The more immediate consequences for the lenders using robo-signers will be determined by the homeowners who are fighting their cases in court. Lilliana DeCoursy, a real estate agent in Safety Harbor, Fla., has a rental property in foreclosure with GMAC. Now that the lender has withdrawn the affidavit in her case, Ms. DeCoursy said she was determined to press every advantage. “I think they should have to answer for this,” she said. Jerry Kane Jr. and his 16 year old son Joseph Kane [photo right] were put on the US terrorist “watch list” by Obama Federal Police officials because of Kane’s growing following of Americans seeking to find relief from the financial crisis imposed upon their country by their banking system. More Here. The Justice Department’s motion to dismiss the ACLU’s lawsuit in the Anwar al-Awlaki case confirms, once again, that when it comes to civil liberties, the Obama administration is no different from the Bush administration, and in fact is arguably much worse. No warrants. No grand jury indictments. No jury trials. No due process of law. Simply, assassination. The assassination power now being wielded against al-Awlaki isn’t limited to him. The U.S. military and the CIA can now assassinate any American they want. All they need is the president’s authorization; and, according to him, he doesn’t have to answer to anyone, including Congress and the courts. 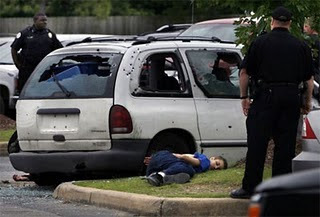 Moreover, this omnipotent power to take out Americans is not limited to Americans living overseas, as al-Awlaki is doing. Remember the point that Bush made, which Obama has enthusiastically embraced: that the entire world, including the United States, is the battlefield in the perpetual, worldwide “war on terrorism” that the U.S. Empire is waging. Does Obama need congressional authority before he assassinates Americans? Nope. The notion is that, like Bush, he’s engaged in a real war, just like World War I or World War II and, therefore, he has the authority to kill Americans who, he claims, are supposedly fighting on the other side. There’s at least one big problem, however, with the Bush-Obama formulation of their “war on terrorism”: Terrorism is a federal crime. It’s on the books as a federal crime. It’s listed in the U.S. Code as a federal crime. Thus, it’s not surprising that dozens of terrorism cases have been brought in the federal courts. Why wouldn’t they be? Since the U.S. Code, which defines federal criminal offenses, lists terrorism among the many federal crimes, it stands to reason that suspected terrorists are brought to court to face federal terrorism charges. As I have long pointed out, however, what the Bush administration did after 9/11 is simply announce that federal officials now had the option of treating terrorism as either a federal crime or as an act of war, whichever way they want to go. As I have also long pointed out, not only does the Constitution not permit such an option to be exercised, it would be difficult to find a better example of a violation of the rule of law and equal treatment under law than that. Either terrorism is a crime (which it is) or it’s an act of war (which it is not). To permit U.S. officials to choose one way or the other is the epitome of arbitrary, discretionary, ad hoc, totalitarian power. Does an American have the right to secure judicial review to prevent his assassination? Not according to Barack Obama. The ACLU sued on behalf of al-Awlaki’s father seeking a federal court injunction against the assassination. Barack Obama ordered his Justice Department to seek an immediate dismissal of the suit. His justification? 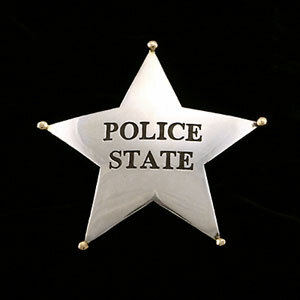 The “state secrets doctrine,” a doctrine found nowhere in the Constitution. Obama is arguing that to permit the suit to continue would mean that people would learn the details of his assassination program and the standards by which Americans and others are targeted for assassination. That would jeopardize national security, says Obama. So there you have it. We now live in a country in which the military and the CIA can now assassinate Americans, on authorization of the president, who doesn’t have to explain to anyone the standards for such assassinations. That’s what now passes for a “free” country — the omnipotent, non-reviewable power of the ruler and his military and paramilitary forces to assassinate their own people. Exactly who are the masters and who are the servants in such a society? Last week the FBI raided the homes of anti-war activists in multiple states simultaneously, prompting Paul Craig Roberts to write a searing column called “It Is Official: The US Is A Police State“. I caught excerpts from Roberts and comments on his work from Chris Floyd, in “Domestic Disturbance: FBI Raids Bring the Terror War Home“. I don’t disagree with anything Roberts or Floyd wrote about this story, and I would recommend both columns. But neither of these very fine writers approached the idea that struck me hardest when I saw Roberts’ headline. 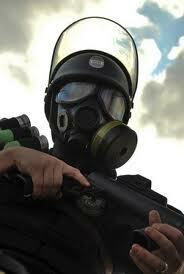 What’s new about the USA being a police state? Why is it suddenly official now? That the USA is a police state has been, if not officially official, then at least totally bloody obvious, for my entire life — and the same is true of Roberts, and Floyd, and you (dear reader), and your parents, and their parents. For all our lives, we have lived in a police state that calls itself a democracy, and the cover story has been so effective that even some of our leading dissident writers are now just discovering the truth behind it. Lest we forget: Forty years ago, in the midst of another generation’s undeclared, unjustified, unwinnable and unpopular war, unarmed anti-war protesters were gunned down in broad daylight in public, and not one of the shooters who committed the crime was even tried. In the decade leading up to those shootings, four civic and political leaders, all of whom posed threats to the established order, were also gunned down in public. The victims included a sitting President and a US Senator, yet no justice was ever served for any of these murders. During the same period, countless civil rights activists and anti-war protesters were viciously assaulted, and some of them were also killed. Sometimes the crimes were committed by “law enforcement officials” themselves; at other times the crimes were committed with the silent approval of “the law”. From the 1930’s through the late 1950’s, the nation’s “law enforcement” officers brutally crushed anyone they could find who had sympathy for communism, socialism, or any other “-ism” that didn’t begin with “capital”. None of this is secret. None of it is news. All through our history, Americans whose skin wasn’t quite white enough have been hassled, assaulted and ruthlessly murdered, often by the police whose lives depend on the taxes we all pay, and who are supposed to be protecting all of us. Most of the perpetrators of these crimes have never been brought to justice. This pattern of official injustice — supported more often than not by the police themselves — has been going on for as long as you care to look. It runs as deep as American history itself. Though it may be pleasant to forget it, the USA is nation whose history includes — nay! is a nation that was built upon — genocide, slavery, lynching, and other forms of public terror, all with the open support of “the authorities”. A careful reading of American history shows that the basic problem here is not the current administration’s disregard of the Constitution, nor the disdain for the Constitution shown by previous administrations. As Jerry Fresia points out in “Toward An American Revolution“, the problem is the Constitution itself. The Articles of Confederation, by which the “United States of America” came into being, guaranteed direct democratic representation at the national level, in a government which could be swept from power quite easily when and if the voters of the country were displeased. The most powerful men in the land — slaveholders, mostly — found their riches, their status and their privilege in jeopardy, and feared for what they were pleased to call “an excess of democracy”. So they banded together and wrote the Constitution, which set up our current system of “representative” government, under which the President is elected by an Electoral College chosen by the State legislators, rather than directly by the people; under which it takes three election cycles to change the entire Senate; under which countless federal officials — including every justice on the Supreme Court — are appointed by the President and approved by the Senate, with nary a word from the House of Representatives, which is, at least in theory, the only part of the federal government over which the voters are meant to have any immediate influence. Then, through a series of incidents that today would be called “terrorist attacks” (as long as they were perpetrated by Muslims), the authors of the Constitution inflamed enough other powerful men to ensure the ratification of the new Constitution — quite against the wishes of the “common people” of the day — setting the course which we now travel, and which the best of us (including Chris Floyd and Paul Craig Roberts) rightfully despise. Rather than guaranteeing direct democratic representation and fair and equal rights to all citizens, the Constitution set up a federal government with the power to put down “insurrections”, and a mandate to protect interstate and international “commerce”. In our present-day terms, it empowers a deeply entrenched government running a police state at home to support a commercial empire abroad. Those who support the Constitution, who pine for a return to “Constitutional law”, who rail against one administration after another for taking “un-Constitutional actions” and passing “un-Constitutional laws”, have a legitimate point. Life in the United States would certainly be better for a very large number of people if the civil rights granted in the Constitution — limited tough they may be — were strictly observed. But we would still have the same problem. The federal government would still be owned by the most powerful men in the country, and would still be geared to putting down “insurrections” at home while supporting a “commercial” empire abroad. That was the whole point of the Constitution in the first place. This is why we are where we are today. As Chris Floyd pointed out some time ago, “the purpose of a system is what it does“. And what our current system does, its purpose, is still congruent with the wishes of the “Founding Fathers”. I fear that, if our leading dissident writers continue to miss this point, the best we could possibly accomplish — even if we all stood together against the abomination that is our federal government — would be a reversion to the root cause of our current problems. And that’s not going to be good enough. Although remote-controlled US “drone” planes regularly cross into Pakistan to target suspected extremists in the country’s lawless tribal area, the use of manned aircraft is highly controversial in a country in which anti-Americanism runs high and widely believed conspiracy theories maintain that nuclear-armed Pakistan is the next American military target. Nato was seeking to justify the breach of Pakistani territory as self-defence or “hot-pursuit”, which have some defence under international law. Pakistan is forced into the position of having to react angrily, because if it did not, it may have profound consequences for the Pakistan eastern border with arch-enemy India. There, India could use the same logic for pursuing extremists into Pakistani territory. The incursions will add to pressure on the fragile pro-western government in Pakistan, the survival of which is in doubt after the fallout from the country’s devastating floods and a constitutional battle in the courts. Marvi Memon, an opposition member of parliament, said she would raise the issue in parliament and demanded to know if there was a deal allowing incursions. “Self-defence is no excuse for violating Pakistani airspace and thus our sovereignty,” said she said. According to Nato, a remote Afghan military outpost in the eastern province of Khost, close to Pakistan border, came under fire on Saturday. 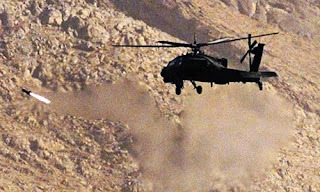 Two US Apache helicopters responded. Reports said the aircraft then entered the Kurram part of Pakistan’s tribal area. Donald said 49 militants had been killed in the first incursion and four to six were killed in the second attack, according to a review of the video surveillance tapes from the helicopters. He said Nato was investigating reports of a third incursion, which took place today. The Afghan government has bitterly complained about Taliban insurgents using Pakistan’s tribal area as a haven and a training ground. Pakistan has launched military operations against extremists in the tribal area but they have targeted Pakistan-focused fighters, not those targeting Afghanistan. Afghanistan maintains a politically sensitive relationship with Pakistan. The Afghan president, Hamid Karzai, has been treading a fine line, seeking international action against the Pakistani-bred terror groups while trying to shore up the political relationship with the Pakistan government. Separately, US drone aircraft continued their assault on suspected extremists in Pakistan. A drone flying over the North Waziristan region today reportedly fired missiles at a house in a village near the town of Mir Ali, killing at least two. The missile strike was the 20th such attack this month – the most intense barrage ever unleashed by American planes on Pakistani territory. Pakistan also officially objects to the deployment of the drones on its territory, while apparently acquiescing to it behind the scenes. Attacked by the Left. Attacked by the Right. Attacked by “edgy” political comedians for scant, confused laughs – with no discernible purpose other than to discourage and further isolate those seeking justice. No matter if their political affiliation is Coke, or whether they lean hard towards Pepsi, everyone in the corporate mainstream media can agree that 9/11 truth is a target worthy of derision. When left-wing commentators denounce 9/11 truth activists, the activists are derided as right-wing conspiracy freaks – lumped in with the Tea Party and various hate groups. 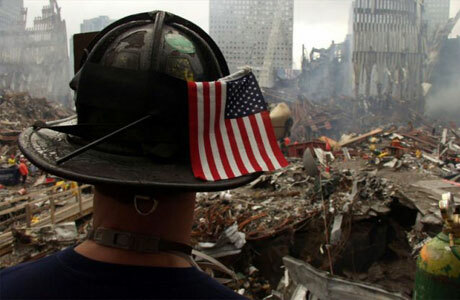 When it’s the Right’s turn to attack, those seeking answers about 9/11 are uniformly painted as Bush-burnt America haters, the very worst of the left-wing losers. 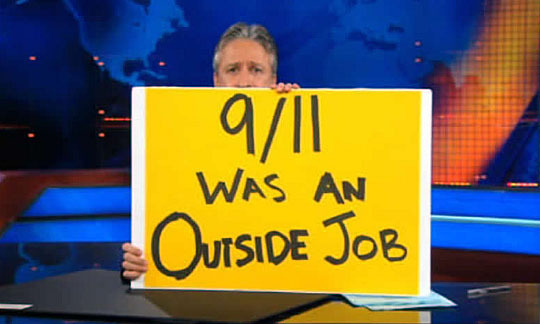 Sometimes – just to mix it up – a lefty journalist will agree that 9/11 truth is indeed a scourge of the Left, and even concoct a bizarre conspiracy theory to explain it away. Stewart’s shtick is the exasperated moderate everyman, a lone voice of reason in a sea of insanity – willing to question or poke fun at anyone or anything. But, as with fellow “edgy” political humorist Bill Maher, some things simply must not be questioned. And those who do question them must be mocked. Stewart then whipped out a sign of his own reading “9/11 Was an Outside Job” – as a sample of what would be an appropriate message at his rally. Yet these programs also reassure us, subconsciously, that all is well in the world. And there are lines that they will not cross. When it comes to the interviews of *controversial* figures, ie politicians/mass murderers – 9 times out of 10 they throw softballs, giggle together, shake hands, and proceed with the commercials. Another commenter on the site pointed out that one of The Daily Show’s staff writers – Kevin Bleyer – has contributed material to President Obama’s speeches and is a member of the influential Council on Foreign Relations. Bleyer is also a Truman National Security fellow and one of the founding contributors to The Huffington Post, a site which strictly forbids questioning of 9/11. In the past, Bleyer has worked with Bill Maher and Dennis Miller, two other comedians who have regularly disparaged 9/11 activists. Surely this is all just a coincidence, but one that’s interesting enough to note. Palestinian farmers from Yatta village south of Hebron in the West Bank have revealed that the Israeli military continues to bury nuclear waste in their farmlands at Al-Masafer near the armistice line in the West Bank. The farmers said that the military forces “IDF” brings trucks loaded with waste suspected to be radioactive waste and is burying it in their lands after they force them to evacuate the area. WASHINGTON — Continuing to explore the limits of corporations’ constitutional rights, the Supreme Court on Tuesday added cases to its docket that will test the scope of companies’ rights to due process and privacy. The new cases follow the court’s decision in January in Citizens United v. Federal Election Commission, which ruled that corporations and unions have a First Amendment right to spend money in candidate elections. In two of the cases, the justices will consider how the state secrets privilege, which can allow the government to shut down litigation by invoking national security, applies in a contract dispute between the Navy and military contractors hired to create a stealth aircraft. In the third case, the justices agreed to decide whether corporations have privacy rights for the purposes of the Freedom of Information Act. The cases were among 14 the court added to its docket. The court’s newest member, Justice Elena Kagan, disqualified herself from four of the new cases, including the one concerning corporate privacy, because she participated in them as United States solicitor general before joining the court in August. She has also recused herself from about half of the roughly 40 cases that had already been on the court’s docket for the new term, which starts Monday, and so will be absent from the bench much of the time in the coming months. The state secrets case arises in a surprising context. The court has turned back appeals from people who say they were sent abroad to be tortured but whose lawsuits were dismissed after the government invoked the privilege. This month, a sharply divided 11-member panel of the United States Court of Appeals for the Ninth Circuit, in San Francisco, dismissed a lawsuit against Jeppesen Dataplan, a Boeing subsidiary accused of arranging flights for the Central Intelligence Agency to transfer prisoners to other countries for imprisonment and interrogation, on state secrets grounds. Boeing, as successor to the McDonnell Douglas Corporation, is one of the parties to the state secrets cases the court agreed to hear on Tuesday, Boeing Company v. United States, No. 09-1302, but now it objects to the government’s invocation of the privilege. Its case has been consolidated with the second one, General Dynamics Corp. v. United States, No. 09-1298. Both arose from a 1988 contract to develop the A-12 Avenger aircraft. Dissatisfied with the contractors’ progress, the Navy terminated the contract three years later and demanded the return of $1.35 billion. The leading Supreme Court case on state secrets, from 1953, also concerned an aircraft. In that case, United States v. Reynolds, the widows of men who died when a B-29 bomber crashed in Waycross, Ga., during a secret mission, sued the government for negligence. 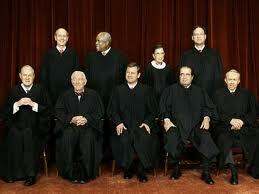 The Supreme Court ruled against the widows on state secrets grounds. But the court said things might be different if the government were pressing a claim rather than defending against one. The new cases are civil rather than criminal, and the parties disagree about which of them is the plaintiff and which the defendant. With interest, the government now seeks about $3 billion. Hundreds of people who believe they were falsely detained and imprisoned by the Department of Justice in the wake of the Sept. 11, 2001, attacks are now seeking redress through the U.S. courts. The exact number of detainees is unclear, as no lists were ever released publicly. But according to a report by the Office of the Inspector General in 2002, 475 9/11 detainees were arrested and detained in New York and New Jersey. Hundreds more were arrested across the country. Some of these men are plaintiffs in a federal class action lawsuit against former Attorney General John Ashcroft and other top officials in the administration of President George W. Bush (2001-2009) who were responsible for their illegal roundup, abuse, and detention. The suit charges that the detainees were kept in solitary confinement with the lights on 24 hours a day; placed under a communications blackout so that they could not seek the assistance of their attorneys, families, and friends; subjected to physical and verbal abuse; forced to endure inhumane conditions of confinement; and obstructed in their efforts to practice their religion. Some of the abuse included beatings, repeated strip searches, and sleep deprivation. The allegations of inhumane and degrading treatment have been substantiated by two reports of the Justice Department’s Office of the Inspector General, and several defendants in the case have been convicted on federal charges of cover-ups and beatings of other prisoners around the same time period. On Sept. 13, six new plaintiffs joined the lawsuit, which is still a proposed class action; there has not yet been a ruling on class certification. These plaintiffs include two Pakistani men, Ahmer Iqbal Abbasi and Anser Mehmood; two men from Egypt, Ahmed Khalifa and Saeed Hammouda; Benamar Benatta; an Algerian man who has sought and received refugee status in Canada; and Purna Raj Bajracharya, a Nepalese Buddhist whose prolonged detention after 9/11 prompted outrage not only by civil libertarians, but even by the FBI agent who originally investigated him. Bajracharya was videotaping the sights of New York City for his family back in Nepal when he inadvertently included an FBI office. He was taken into custody, where officials found he had overstayed his tourist visa, a violation punishable by deportation. Instead, Bajracharya wound up in solitary confinement in a federal detention center for three months, weeping constantly, in a six-by-nine-foot cell where the lights were never turned off. Bajracharya, who speaks little English, might have been in there much longer if James Wynne, the FBI agent who investigated him, had not summoned Legal Aid. Despite the fact that the government never charged any of them with a terrorism-related offense, immigration authorities kept the men in detention for up to eight months, long past the resolution of their immigration cases, according to attorneys at the Center for Constitutional Rights, which brought the class action on behalf of the plaintiffs. “After 9/11 hundreds of men were swept up and detained in deplorable conditions based only on their religion and ethnicity,” CCR Attorney Rachel Meeropol told IPS. “Nine years later, my clients are still determined to hold the masterminds of these sweeps accountable, and we will continue this fight until former Attorney General John Ashcroft, and his cronies, are forced to answer for their policy of profiling and abuse,” she said. “No matter what exalted position they hold, cannot get away with ordering abuse and racial profiling. This battle is far from over,” Meeropol added. The suit names as defendants then-Attorney General Ashcroft; Robert Mueller, current director of the Federal Bureau of Investigation (FBI); former immigration commissioner James Ziglar; and officials at the MDC, where the plaintiffs were held. It includes additional detail regarding high-level involvement in racial profiling and abuse, including allegations that Ashcroft ordered immigration authorities and the FBI to investigate individuals for ties to terrorism by, among other means, looking for Muslim-sounding names in the phone book. Many other arrests were based on anonymous tips called in to the FBI. The complaint also discloses, in some cases for the first time, the “discriminatory and nonsensical tips” that led to each plaintiff’s arrest and detention, the CCR says. The T-shirt was smeared with blood, yet it stayed up on the wall at MDC for months. The two sides of Washington Avenue South in front of the Minneapolis FBI headquarters were in stark contrast Monday evening. On one sidewalk stood a group of about 200 chanting protestors denouncing a string of FBI raids and grand jury subpoenas, including three against University of Minnesota employees and one against a former student. On the far side of the road, a group of about 13 Minneapolis Police officers leaned nonchalantly against squad cars and a “booking bus,” monitoring the situation. But police never had to leave their post. A slew of speakers from local protest groups including the Anti-War Committee, the Twin Cities Peace Campaign and Women Against Military Madness rallied against a string of FBI raids performed Friday on six Twin Cities addresses. Two other raids were carried out on Chicago addresses Friday, and about 120 protesters rallied outside the Chicago FBI office Monday afternoon. “It’s mostly to show we won’t be stopped by intimidation,” said former University student Tracy Molm, whose home wasraided Friday. The raids and subpoenas concerned “the material support of terrorism,” FBI spokesman Steve Warfield said Friday. Agents took cell phones, computers, books and CDs from the activists. In several cases, they stayed for multiple hours conducting searches and left after handing out subpoenas. Minneapolis resident Sarah Martin, a WAMM member, received one of Monday’s subpoenas. Sundin said the other person did not want to be named. Grand jury hearings are set to begin Oct. 5 in Chicago, Sundin said. Sundin’s raid was connected to her work with the Anti-War Committee and a 2000 trip to Columbia, she said. Sundin acknowledged that during that trip she met members of the Revolutionary Armed Forces of Colombia (FARC), a Marxist guerilla group which has long battled the Colombian government. Sundin said when she met rebels in 2000, they were holding peace talks with the Colombian government. The AWC’s office in the University Technology Center in Dinkytown was also raided Friday. attended the University in fall 2009. Mick Kelly, a University Dining Services cook, and Anh-Thu Pham, an executive accounts specialist in the Office of Academic Affairs, were also subpoenaed Friday, and their homes were raided. Kelly edits Fight Back! News, whose staff is made up of activists and organizers. The organization called for a nationwide protest of the raids. Monday’s event was meant to turn attention to perceived injustices in Palestine and Columbia and demonstrate solidarity with the subpoenaed activists. Smaller, related protests were staged Monday outside federal buildings in Milwaukee, Wis., and Salt Lake City, Utah.